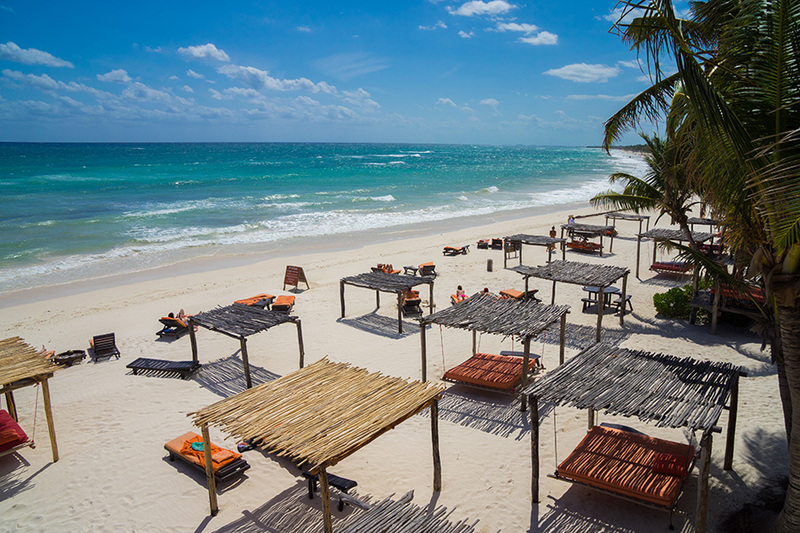 Tulum is a bohemian paradise with chic hotels, boutiques and restaurants nestled along a tiny road that runs 4 miles along the east coast of Mexico. There are no high-rise buildings, all of the architecture has been built to preserve the natural beauty of the jungle. Travel is easy with a flight to Cancun and a private car transport to the hotel. 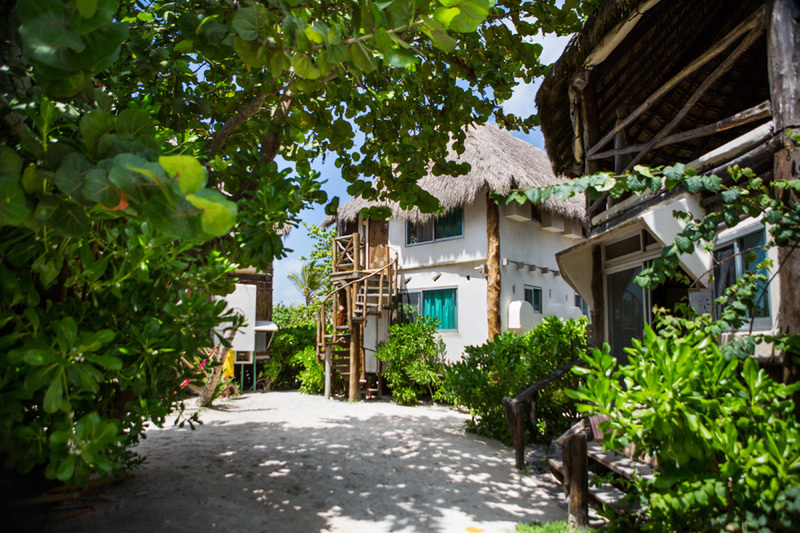 Amansala, our hotel, offers relaxed, boutique hotel accommodations, its more like staying at a friend’s beach house. You will immediately feel relaxed upon arriving. The restaurant serves fresh fish, local produce and the tastiest mango margaritas in the Riviera Maya and the staff is genuinely friendly and helpful. Morning practice will be alignment-based vinyasa with time for breaking down postures and discussion, evening practice will be restorative and yin with deep relaxation and guided meditation, all taking place in an open air studio just steps from the ocean. Between practice and meals you can do as much or as little as you like. Optional off-site excursions include biking to the Mayan Ruins, snorkeling at cenotes (fresh-water caves) scaling the Coba ruin pyramid and hiking through mangroves to a local swimming hole. At the hotel enjoy spa treatments, swimming and snorkeling in the ocean, taking a dip in the beach-front infinity pool and lounging on the sundeck with a good book and a refreshing drink. Tulum is very safe (no locks on the doors!) so you can also feel at ease exploring the boutiques and restaurants, all a short walk or a bike ride away. This retreat is designed for you to have the space to feed your body mind and spirit as you see fit, whether its packing in the activities or spending your free time napping in the sun. You will have the opportunity to deepen your yoga practice, enjoy new friends and community, and take part in cleansing rituals, all at a serene beach-front location. PAID IN FULL DISCOUNT ENDS AUGUST 30, 2017!